Bonding Time: Griffin has been looking forward to a little feline bonding time with a special lady. Leave it to her sister Leigh to interrupt. 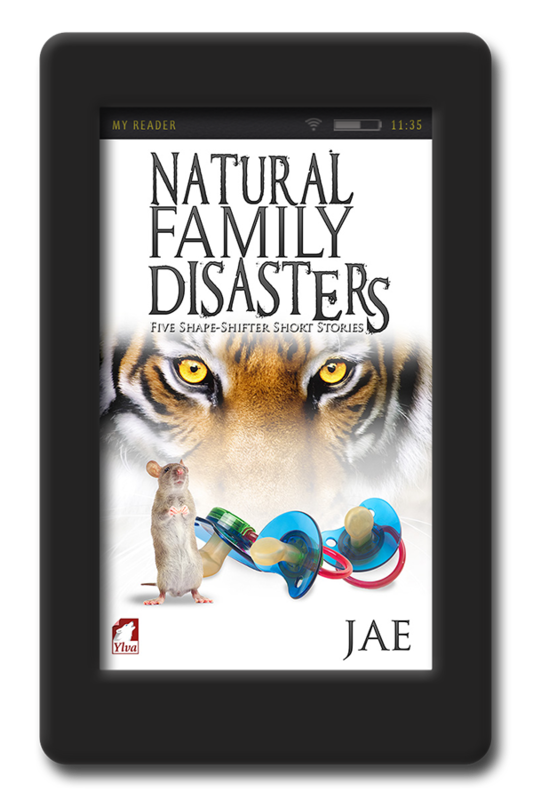 Coming to Dinner: Jorie and Griffin are having second thoughts about their decision to invite Griffin’s shape-shifter relatives and Jorie’s mother for dinner on Christmas Day. 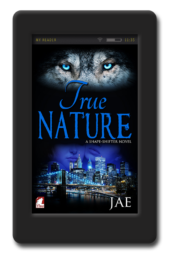 What could be more nerve-racking than eight cat-shifters who don’t believe in Christmas celebrating with a human woman, allergic to cats, who doesn’t believe in the existence of shape-shifters? Will it end with peace on earth, or will fur fly? Babysitter Material: It’s Rufus and Kylin’s anniversary—and no babysitter for the triplets in sight. 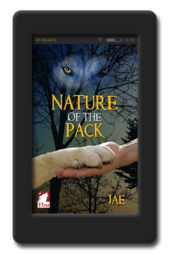 Kylin has a desperate idea, but is her gruff father Brian, ruler of the pride, really babysitter material? 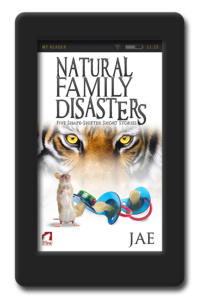 When the Cat’s Away: When a mouse takes up residence in Griffin and Jorie’s house, Griffin calls her fathers over. With three cat-shifters on the hunt, the house will be a rodent-free zone in no time. Or so she thinks. Plus One: Griffin accepts Jorie’s invitation to be her “plus one” at Jorie’s high school reunion, eager to find out more about her lover’s past. But the food at the buffet has an unexpected effect on Griffin. 978-3-95533-072-9 (mobi), 978-3-95533-073-6 (epub), 978-3-95533-074-3 (pdf). 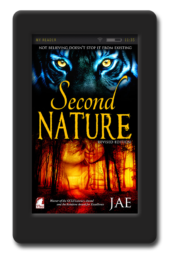 This is an adorable anthology of five short stories following Jorie and Griffin, from Second Nature by Jae, after they settle down together. All five are sweet, funny and totally wonderful! Thank you VERY much Jae!